It's hard to believe just by studying her flawless-looking complexion, but even Kelly Rowland isn't immune to her share of awful breakouts. Her secret, of course, is that she knows exactly how to tackle them head on, as the singer reveals in her new The Top Shelf interview with Into the Gloss this morning. While listing all her go-to skincare products (count her in with the army of celebs who highly endorse esthetician Shani Darden's Retinol Reform, $95), Rowland mentions that another item Darden recommended helped her (literally) save face while battling a sudden onset of blemishes recently. "She also gave me these Alpha Beta Peel Pads by Dennis Gross, and they work so well," she says. "Two weeks ago I had the worst breakout, and I used the pads so vigorously, and the next day I woke up with a new face. Thank God, because we were shooting The Voice Australia and they were doing close-ups." From broken out to HD camera–ready overnight? Enough said. 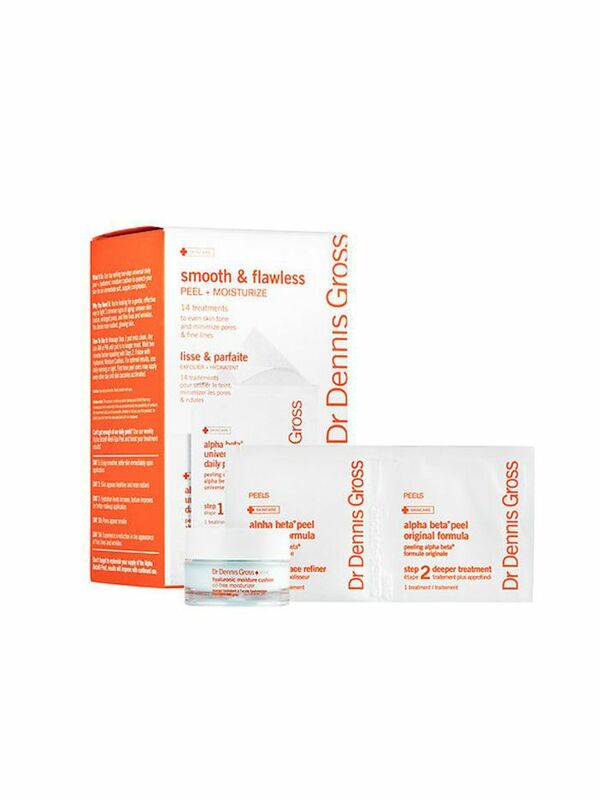 Of course, we've already been sold on Dr. Dennis Gross's pads for some time—from blackheads to milia, there's nothing they can't clear up. That's all thanks to the powerful (but never irritating!) chemical exfoliants in every wipe. Still, if you've been waffling on whether or not to give this cult-loved product a try, we have a feeling that Rowland's glowing review might be the final push you need. As the singer proved with her anecdote, time is money—and acne products that deliver results in mere hours is all we can really ask for. Check out more best-selling acne products. Glossier's Decadent New Face Cream Is Only $35—but Does It Work?